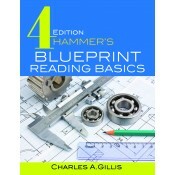 Warren Hammer's Blueprint Reading Basics has been a bestselling classic for nearly two decades, revered for its ease of understanding and for giving readers opportunities to practice what they learned. With this historic revision, new author Charles Gillis has updated the entire package, replacing ALL figures with CAD-generated artwork, adding new illustrations, representing metric drawing practices alongside English, and including content from drawing standards such as Dimensioning and Tolerancing, Engineering Drawing Practices, Welding Symbols, Orthographic and Pictorial Views, Surface Texture, Undimensioned Drawings, and Types and Applications of Engineering Drawings, among others. This an ideal reference for students and instructors alike, and a must-have for mechanical engineers, draftspeople, inspectors, machinists, and students learning the manufacturers trades. Material has been rearranged for better presentation and an improved reader experience. Chapters on views, dimensions, surface finish, threads, and gears have been expanded, while new material on splines and cam prints has been added. Brand new chapters covering welding symbols and welded parts, sheet metal parts, and cast, forged, and molded plastic parts will be of particular interest to readers working with these processes. Each chapter contains a thorough explanation of the topic at hand, accompanied by detailed professional drawings, review questions, and corresponding worksheets. This groundbreaking work now features a broad presentation of metric drawing standards and internationally recognized symbols, making it a truly global reference. Charles Gillis has over 22 years of machine design experience. He is a mechanical design engineer for the Procter & Gamble Company. For the last eight years, he has taught WPI's Geometric Dimensioning & Tolerancing courses. He is also a contributing author to Machine Designer's Reference , published by Industrial Press. Warren Hammer (deceased) was a seasoned professional with more than 50 years of experience in manufacturing. He originated the Blueprint Reading Basics book, and with this revision, his legacy lives on.